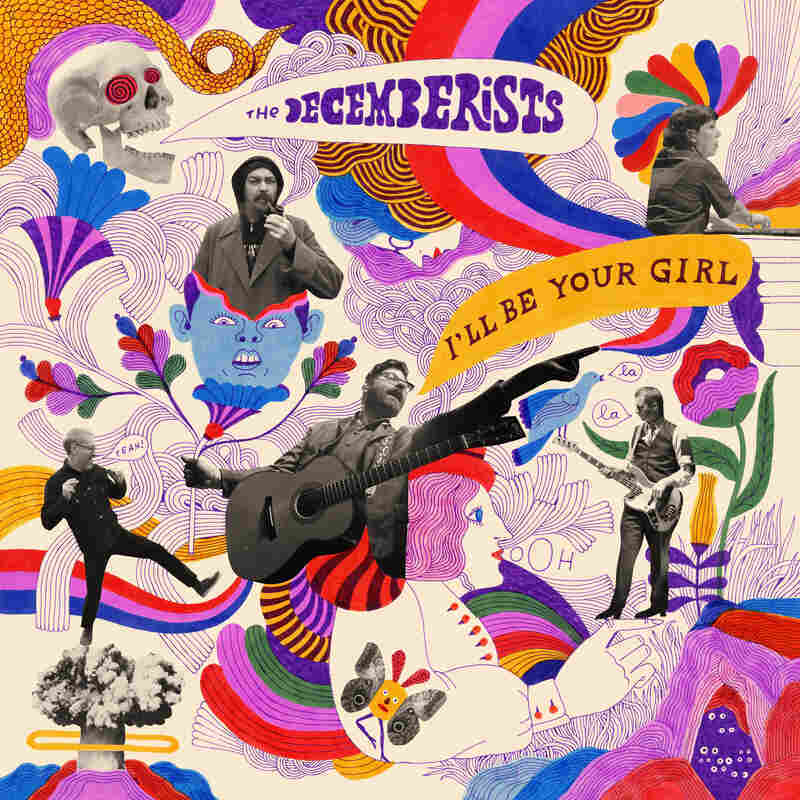 Review: The Decemberists, 'I'll Be Your Girl' The band's eighth album captures a collaborative spirit that keeps The Decemberists sounding vibrant and alive, even as it delves into themes of futility and darkness. Every band needs to refresh and reconsider its sound sooner or later, no matter how sharp it's gotten over the course of a long career. Creative stagnation comes for us all — even The Decemberists, a band whose records have always come bursting with verve and verbosity. I'll Be Your Girl, the group's eighth album in 17 years, doesn't upend every weapon in The Decemberists' arsenal: Colin Meloy still writes disarming, thematically ambitious songs while maintaining a thick fatalistic streak. But the record does steer its sound in unexpected directions, thanks in part to new producer John Congleton, who's known for his dense and busy arrangements. Especially in the album's first half, the new songs often revolve around the smeared-out thrum and menacing pulse of Jenny Conlee's synths, which conjure images of many '70s and '80s pop stalwarts. As a lyricist, Meloy seems emboldened on I'll Be Your Girl, especially in dark, self-explanatorily titled barnburners like "Everything Is Awful" — surely the jauntiest song ever to bear that title — and "We All Die Young." The latter is especially rousing, with its stomping/clapping percussion, a chanting children's chorus and a saxophone solo. Elsewhere, the ambition that led The Decemberists to record a rock opera resurfaces in "Rusalka, Rusalka/The Wild Rushes," which builds from a plodding dirge to a grandiose, satisfying epic in the course of more than eight minutes. Since the beginning, The Decemberists' music has been subject to the whims of Colin Meloy, who's led the group down many side roads when he's not writing children's books or recording solo EPs full of Shirley Collins, Morrissey and Sam Cooke covers. But I'll Be Your Girl captures a collaborative spirit that keeps the band sounding vibrant and alive, even as it delves into themes of futility and darkness.